Windsor Davies was best known for playing Tudor Bryn “Shut Up” Williams in the TV series. Actor Windsor Davies, who starred in the popular sitcom It Ain’t Half Hot Mum and two Carry On films, has died at the age of 88. Vogue editor Anna Wintour, comedian Ken Dodd and The Kinks singer Ray Davies are among the arts figures honoured by the Queen. Chris Davies is the President of Fabrik Media, a Los Angeles-based publishing and marketing agency. 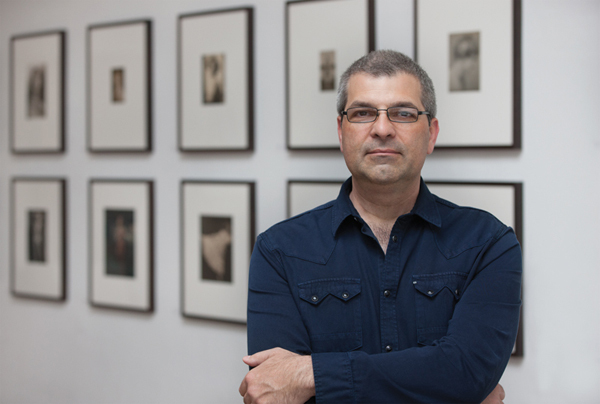 Concerned by the art fair under-representation of otherwise talented photographers, he founded “Photo Independent: The International Exposition of Contemporary Photography”, held this year from April 25th to the 27th at the Raleigh Studios in Hollywood. The exhibition, the first of its kind in Los Angeles, features the work of 70 photographers from around the world. The Selection Committee included Daniel Cornell, Palm Springs Art Museum, Graham Howe, curator, photo-historian, and artist, Sarah Lee, curator and gallerist, and Eve Schillo Curatorial Assistant at the Wallis Annenberg Photography Department at LACMA. The exhibition also includes a Guest of Honor, Andy Summers, photographer and member of “The Police”; a Special Exhibitions section; and a series of talks, “The Dialogue,” meant to deepen one’s knowledge of contemporary photography. JS: Staging the show in a movie studio was, to put it mildly, inspired. How did you come up with that? CD: I’ve had the idea for this kind of fair for several years now, but wasn’t sure where to stage it (pardon the pun). Then once I saw Paris Photo last year at Paramount Studios, it dawned on me that Raleigh Studios would be the perfect venue and partner for this type of fair. I’ve been on the lot many, many times and loved the feeling of Raleigh Studios. JS: What was your inspiration for the show? Was there an aha-moment or was it just a gnawing impression that the medium was given short shrift? CD: Actually, not just the medium, but artists are being given a short shrift. The art fair system is such that if you’re not a gallery or part of a gallery’s stable of artists you cannot exhibit your work at traditional art fairs. I’ve been working with artists for over 20 years as publisher and marketing consultant, and have had many discussions with artists regarding art fairs and their inability to exhibit there because they don’t have a gallery representing them or their dealer that does represent them can’t bring all their artists to the fair. And as mentioned earlier this idea had been percolating for a while. JS: Why do you think photography is underrepresented at art fairs? Is it cyclical, that is, is it because at the moment the pendulum of art swings more towards installations and painting and less towards photography? Or do you think there is something else at work here? CD: For a long time there has been a prejudice against photography in the art world. There are still some folk that tell me that painting is art, and photography is not, because there is more than one print struck. These people do not seem to understand the changing reality of our contemporary culture. Photography is the incendiary art form of our time. Photography, Cinema, video – it has permeated our culture to the point where I sometimes wonder really, is there any other art that comes before a camera. I am being a tad hyperbolic here, but really it’s about time that those among us who practice the art of photography and have raised the bar on the medium, should now be shown and acknowledged as the amazing artists that they are. JS: What kind of support, especially initially, did you have from the Los Angeles art community? CD: I have had tremendous support from the Los Angeles art community. Especially from other art fairs here in LA, specifically Photo LA and the Los Angeles Art Show, both mainstays in January’s fair season. Local organizations such as the Los Angeles Art Association, Art Weekend LA, Create:Fixate, and many other such organizations have been tremendously supportive. Not to mention the artists themselves. They are excited about what we have created. JS: What was the Selection Committee’s mandate in choosing the work? CD: They were trying to choose work that was both traditional and unconventional. We wanted to show work that demonstrated both technical proficiency and creative choices that were fresh and offbeat. JS: Who chose the contributors in the Special Exhibitions segment of the fair? CD: These exhibitions were chosen by me. I wanted to showcase Andy Summers, not because of who he is and known for, but for who he is as a photographer. He is a great photographer who has not been given the recognition he deserves because of where he came from. The AX3 winners are breathtaking adventurers; there are some wonderful new talents here and I wanted the world to see them. The AX3 exhibition came from a photography competition Fabrik we ran last year, and I felt this would be a great venue to showcase this talent from all levels of photography — professionals, non-professionals, students and Mobile Photographers. JS: You’ve set up an impressive educational program. How important is education to the fair itself and to photography in general? CD: It’s usually a component of most art fairs, and ours as well. Photography is dynamic, it mirrors technology-driven culture that we live in, and its important to me to have the fair be a conduit of information, to communicate the new modalities in the medium and maybe to be a catalyst for the pioneers among us. JS: What were your biggest challenges in staging the event? CD: Getting the word out, and establishing a measure of trust so that artists would feel excited about the potential a showing here would give to their careers and at the same time I wanted the artists to feel a measure of safety coming here to Los Angeles. JS: Is there anything you will do different next year? JS: A scant weekend is a very brief amount of time. Especially if the weather turns sour. Will future Photo Independents also run that short? CD: We will wait and see. JS: What do you want to be peoples’ walkaway impression from the show? CD: I want people to be bowled over. Great art makes you change the way you think about the world, change the way you see. I want people to dream about a work that they saw here and think about life in a fresh new way. That is what I feel when I see some of the work here. JS: How will you determine whether the event has been a success? CD: The level of enthusiasm among collectors and artists opening night was gratifying. And it was reflected in sales. There are so many artists who have sacrificed alot, to print their work and come to Los Angeles, in the hope that their work would be appreciated… and they are selling. That is what its all about, really, isn’t it? JS: What can we look forward to in next year’s installment? CD: I’m hopeful that we will include more of an international contingency in next year’s fair and add to our programming for both artists and photography collectors. For more information, please visit photoindependent.com.